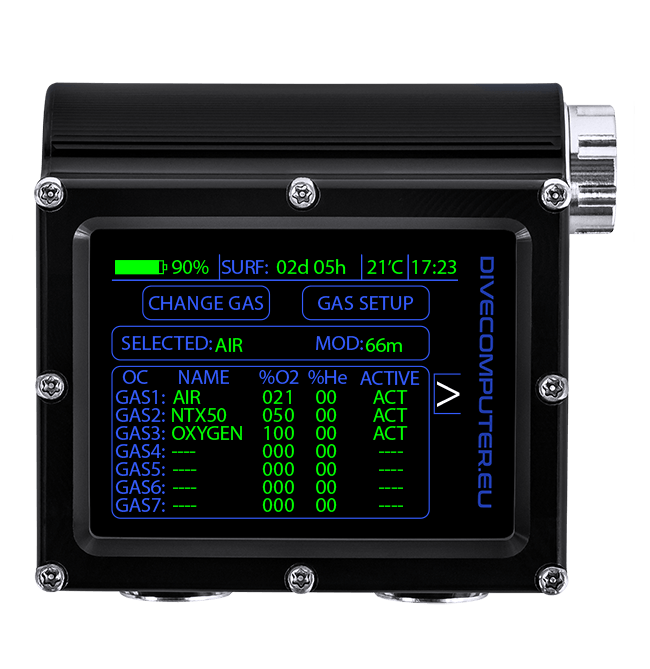 Gas table configuration screen and selection of currently used gas. 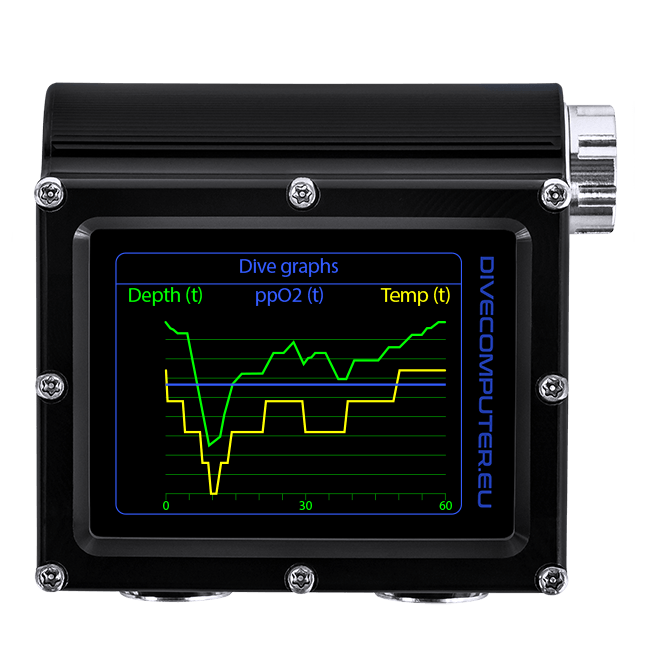 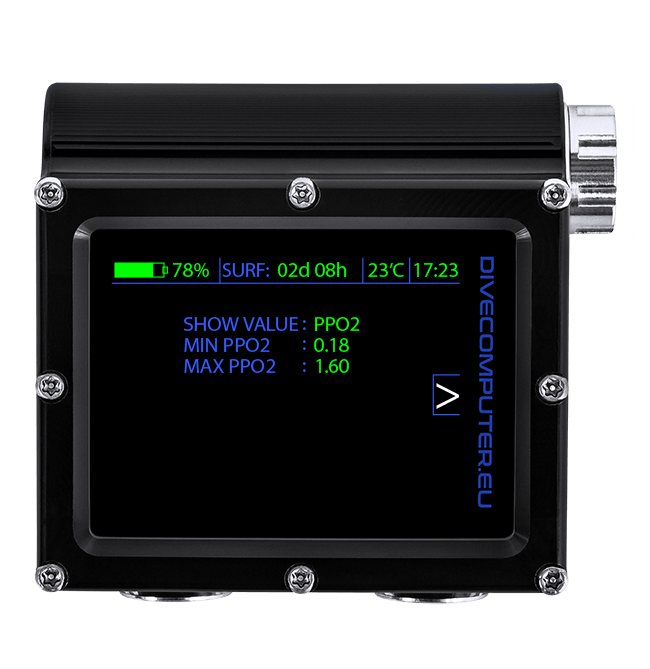 There are 7 trimix gases available in OC TECH mode. Device parameters configuration screen. 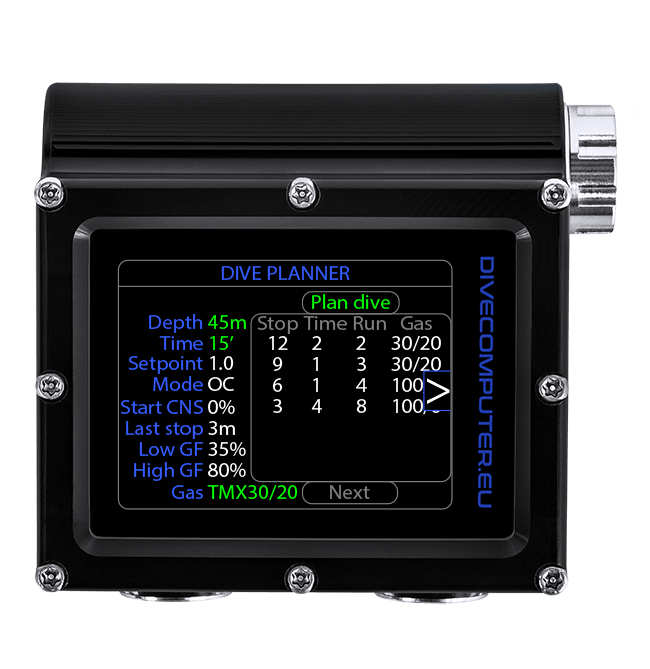 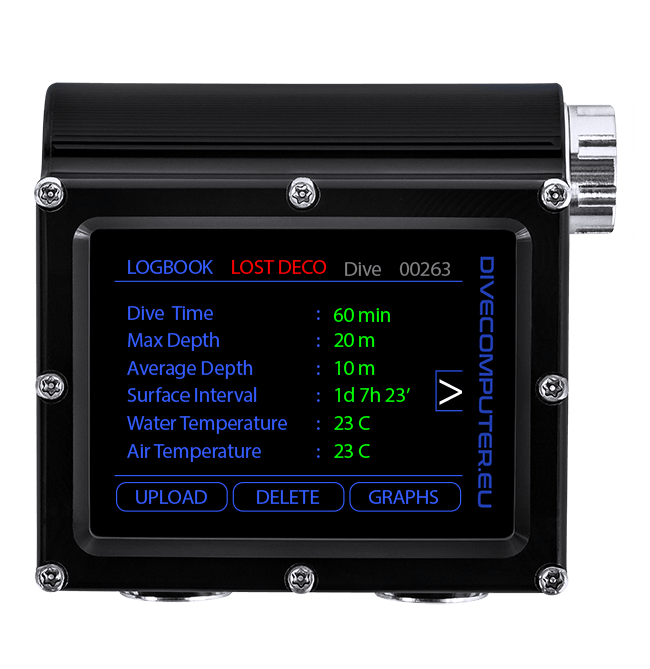 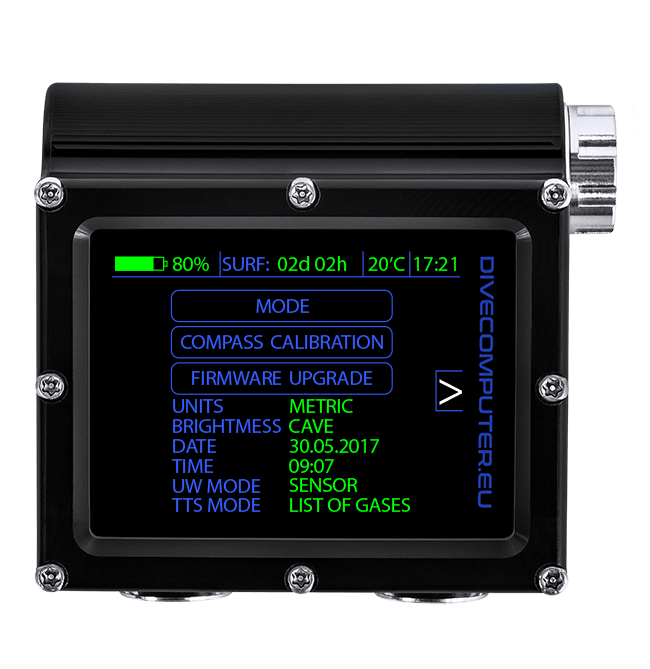 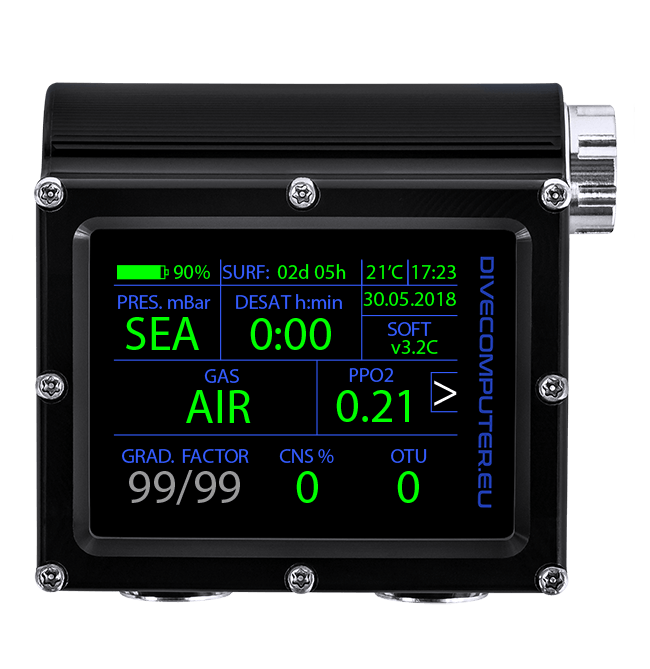 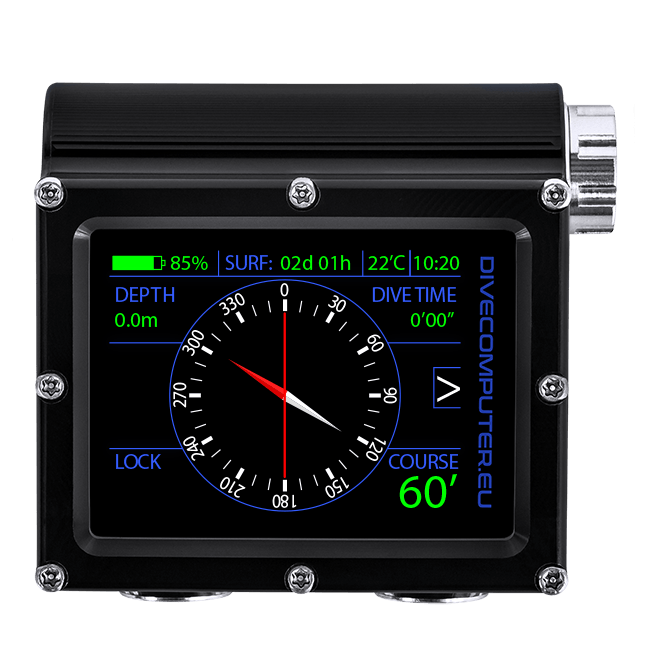 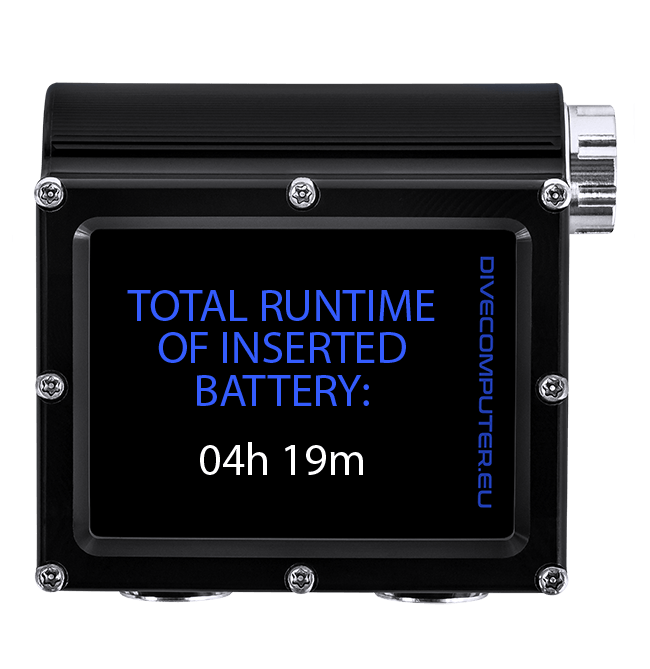 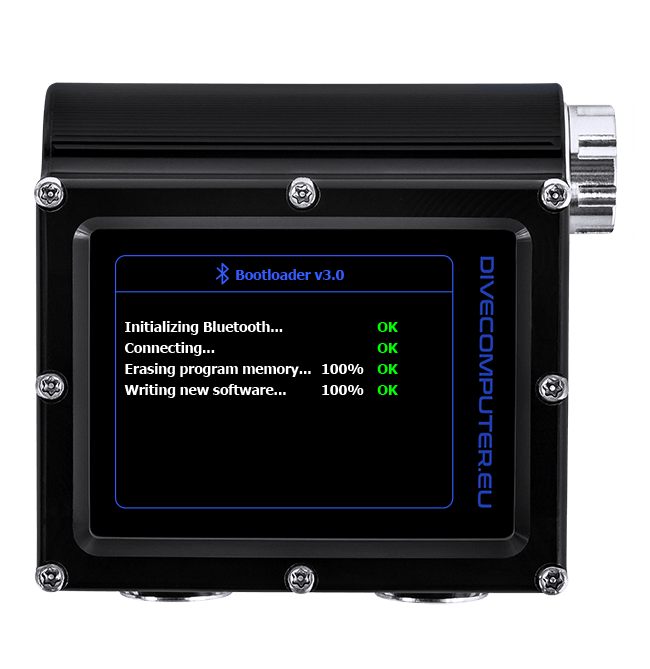 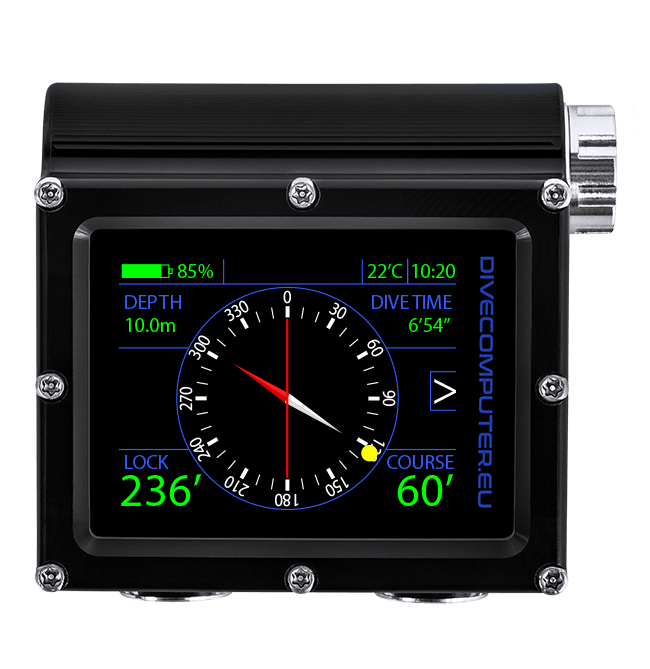 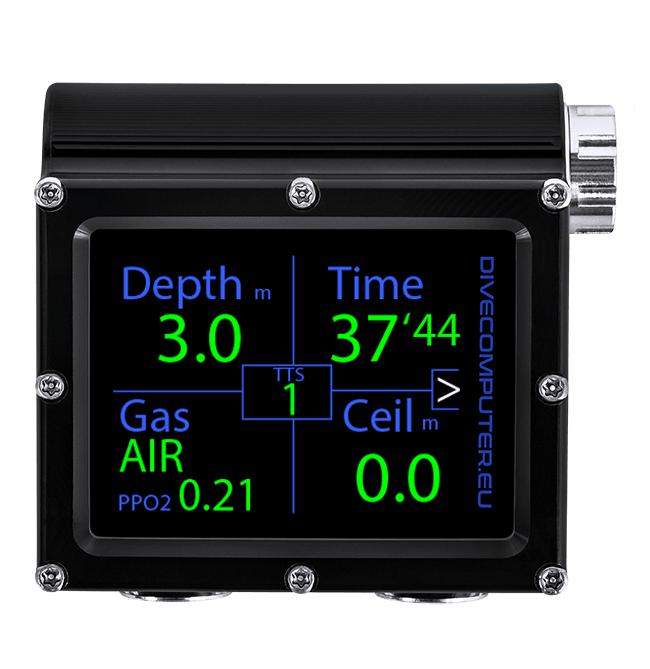 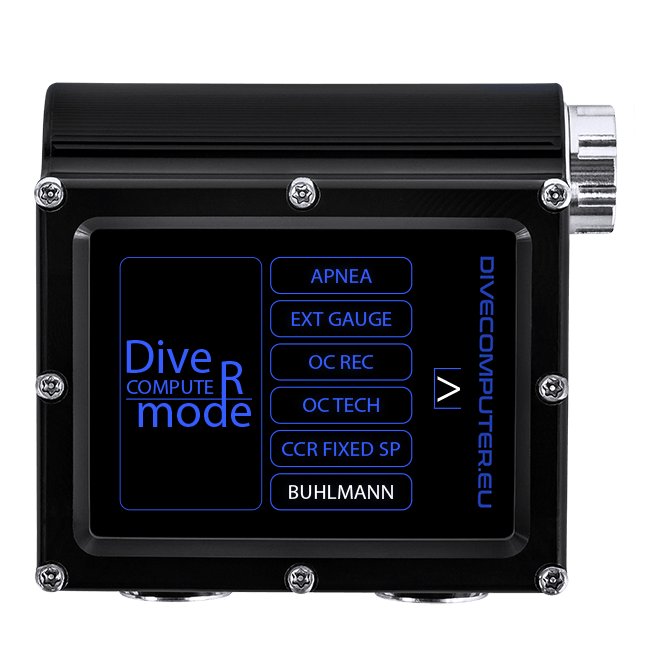 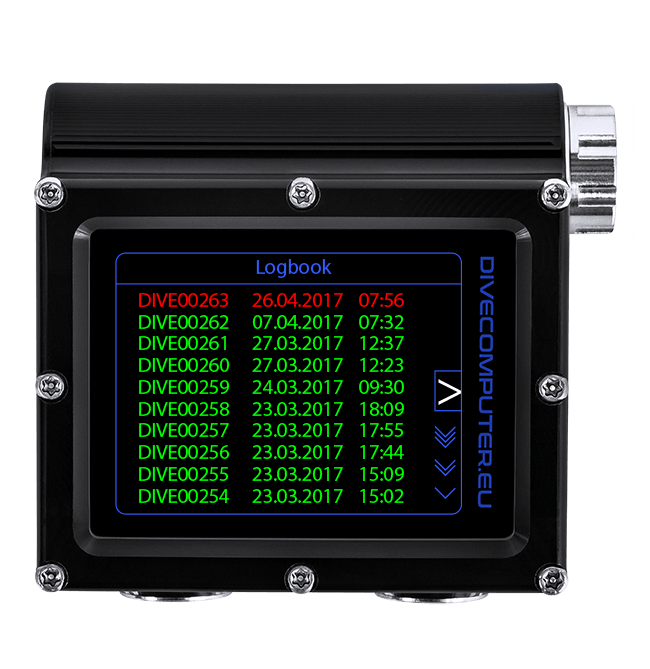 In underwater mode, the sub-menu buttons (MODE, COMPASS CALIBRATION, FIRMWARE UPGRADE) are inactive. 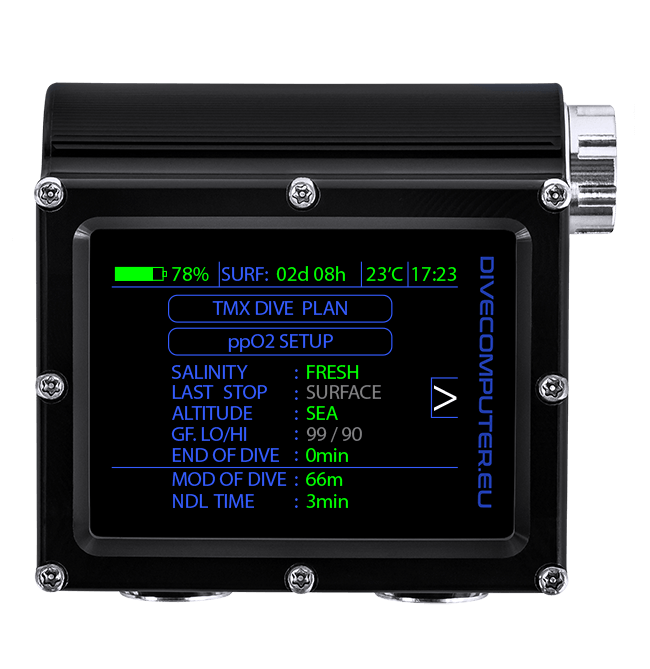 There are seven tmx gas mixes available in OC TECH mode. Gas table configuration screen and change of currently used gas.